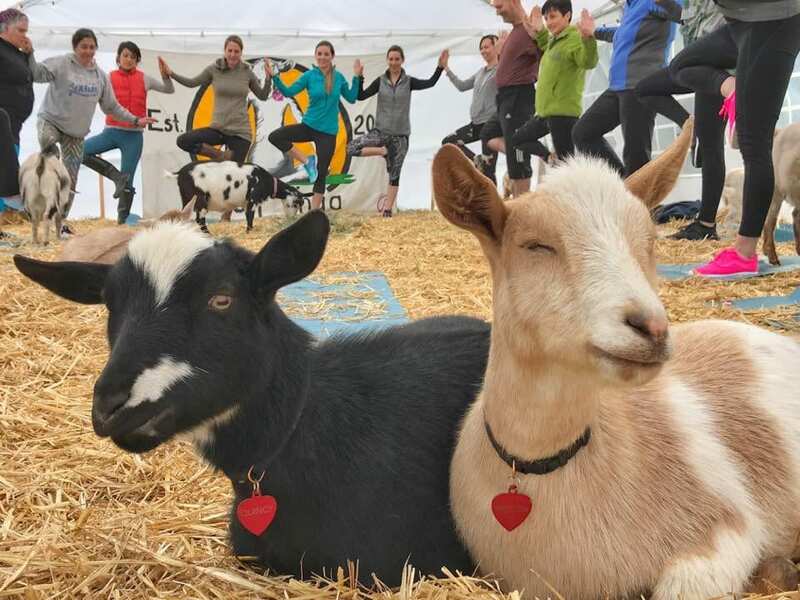 Original Goat Yoga: Find Locations and Events Near You! Goat Yoga, part yoga, part animal-assisted therapy. Goat Yoga is about disconnecting from day to day stress, illness or depression and focusing on positive and happy vibes! It’s been touted by the media as one of the Top Ten Most Amazing Things in the World and necessary for any bucket list. If you like goats, yoga, 360 degree views and award-winning wine, you’ll want to add this to your bucket list! Looking for that special gift for that animal lover in your life? We’ve GOAT you covered from hats, bags, customized jewelry and apparel. 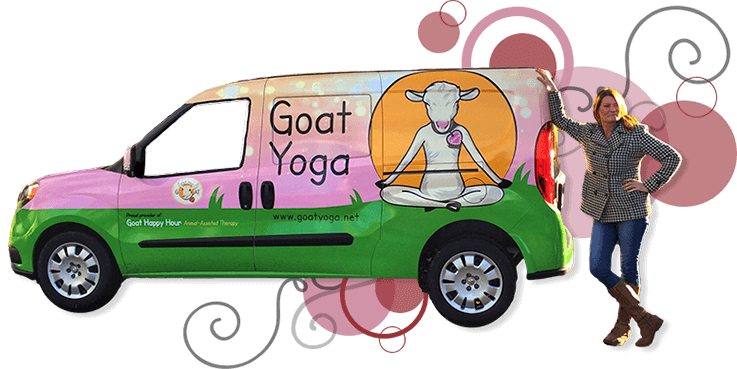 We have your exclusive Goat Yoga brand merchandise for all occasions. Check out our new book The Little Book of Goat Yoga, in stores November 6th 2018. 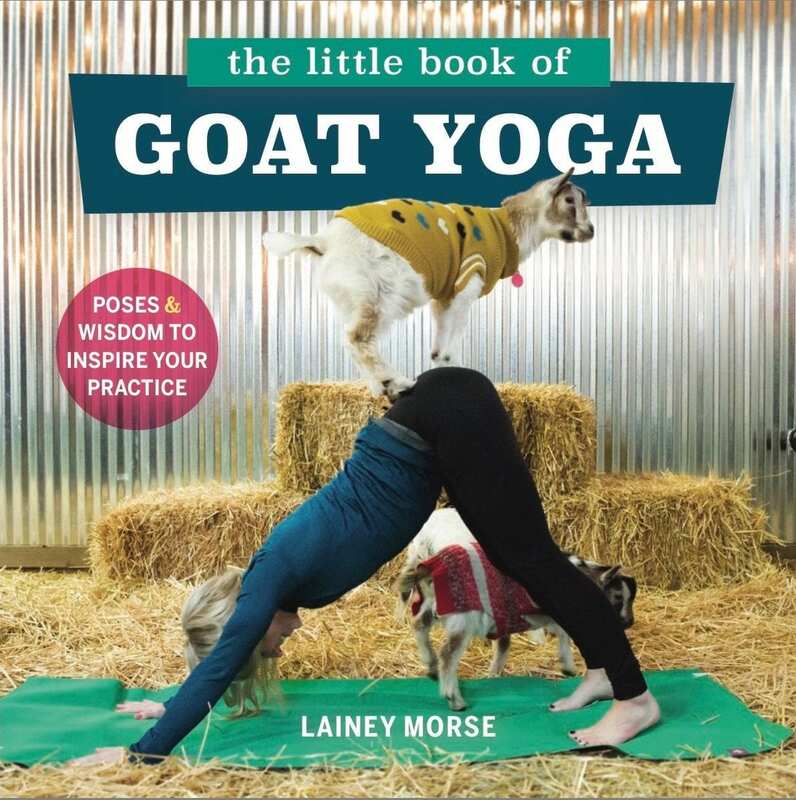 If you don’t have goat yoga in your city just yet, this book offers a delightful “armchair goat yoga” experience, complete with adorable photos of Lainey’s goats. Community is important to us! We've put together a directory of our partners. From local farms, restaurants, breweries, wineries to lodging or transportation! Sign up for Deals and News!